Valentine’s Day and is a occasion to treat the ones you love and surprise them with thoughtful gestures. 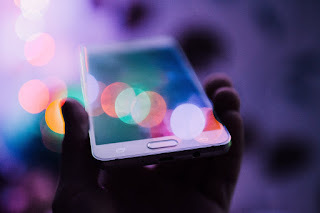 However, if you want something smarter than the usual cliché gifts, here are some interesting tech gadgets that make for an ideal gift for your partner. All-new Echo Dot: Give your loved one the gift of having every question answered with a simple voice command. 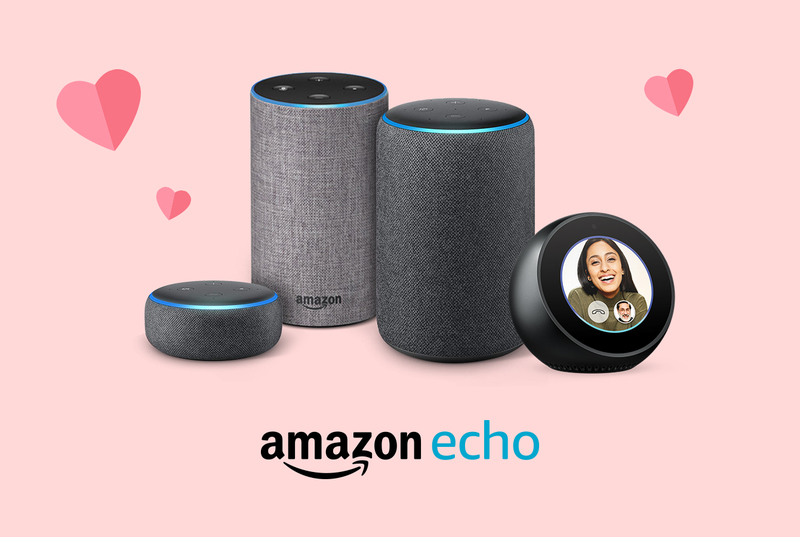 The All-new Echo Dot will help them play music, ask questions, get the news briefing, check the weather, set alarms, manage household chores, control smart home devices, and more. Your partner would surely enjoy the music experience while streaming songs from Amazon Prime Music, TuneIn, Savaan, Hungama and others through the speaker, thanks to its richer and deeper sound. Priced at ₹4,499 the All-new Echo Dot is available on Amazon.in and will definitely make your dear one smile from ear to ear. Kindle E-reader: If your better half always has his or her nose in a book, then the Kindle e- reader will be an appreciated gesture of love. Extremely thin and light, it is available in black and white color and has a long lasting battery. Unlike reflective tablet and smartphone screens, the high contrast touchscreen display eliminates glare in any setting –even direct sunlight. Indulge your love of reading without interruptions like email alerts and push notifications. Priced at ₹5,999 this is a perfect gift for avid book lovers. Fire TV Stick with all-new Alexa Voice Remote: What better than gifting your beloved something that helps you spend some quality time with them at the comfort of your home? Just plug the Amazon Fire TV Stick into an HDTV, attach the power cable, connect to Wi-Fi, and start streaming in minutes! Available for just ₹3,999, this simple and easy to use, powerful streaming media device instantly makes your TV smarter. You can stream thousands of movies, TV shows, apps, games, kids’ content, sports, and news across Hotstar, Netflix, YouTube, Eros Now, Voot, Airtel Movies and many more. Now with the Alexa voice remote, the device is all the more exciting as you can do a lot more with voice search. Fujifilm Insta Mini 8 Instant Film Camera: In today’s day and age, when most of our pictures stay on our smartphones, the Fujifilm Instax Mini 8 Instant Film Camera makes snapping life's everyday moments even more exciting. It automatically determines the best brightness for taking a picture, and also allows you to take pictures with a softer impression with high-key mode. With new improved viewfinder for greater clarity and visibility and automatic exposure measurement, this camera at ₹3,628 is an ideal gift for your loved ones this Valentine’s Day and will definitely put a smile on their faces! Mivi Saxo Wireless Bluetooth Earphones: Wireless headphones are have transitioned from being a luxury to necessity. If your beloved is a music lover, this is the perfect gift for Valentine’s Day. It’s ultra-soft cushion ear cups and headband is extremely comfortable if someone wants to wear it for a long hours. Its 17 hours of battery life and foldable design makes it portable for users. Priced at 2,999, gift this to your partner and help them enjoy uninterrupted music. Oakter Basic smart home Kit: If your Valentine is tech savvy, this is the perfect gift for her/him. The Oakter smart home kit can control appliances from your smartphone such as geyser, motor, air-conditioner etc. This kit contains one smart-home hub, one low powered smart plug and a high powered smart plug. They together provide plug and play solution to control one high powered and one low powered home appliances using your smart phone (iOS & Android). Priced at INR 5,823, this is the perfect gift if you want to transform your lover’s house from traditional house to a smart home.